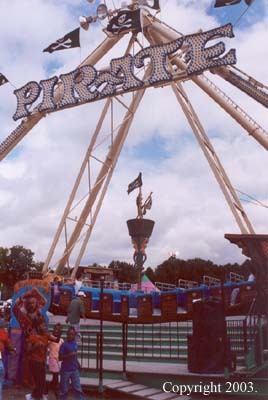 Drew is one of the few U.S.-based carnivals to travel with a Huss Pirate (Conklin and Strates being some of the others). While most have down-sized to one-trailer Mulligan and Chance swinging ship rides, Drew still brings the crane and assembles this great ride. 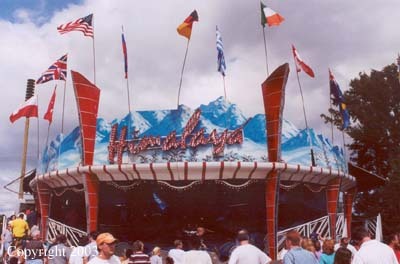 The show added the Cyclops, a KMG Afterburner, towards the end of the 2001 season. 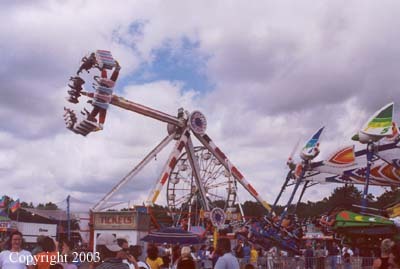 In mid-summer 2002 the park bought a Zamperla Kite Flyer (pictured right). The fair's Reverchon Himalaya is a beautiful piece. The ride has a great amount of retro-looking flash out front, including flags and a good paint job. 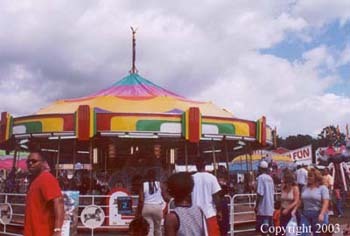 The show has a beautiful two-row Allan Herschell carousel in addition to a larger Chance fiberglass model. Few carnivals carry around such great, old rides kept in top condition like this. 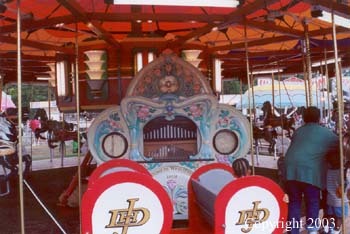 The carousel comes complete with a great-looking Wurlitzer organ. The show also travels with a large Ruth & Sohn band organ that plays by itself and is a stand-alone piece.